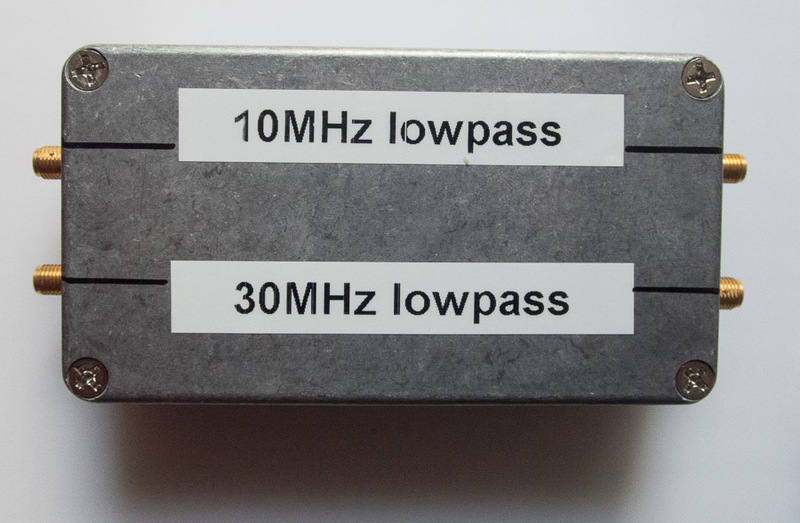 In the days of software-defined radios (SDR), it is easy to forget that we still need proper radio frequency (RF) filters. In the analog implementation of a radio, it is crucial to get rid of any signal you don't want to amplify as soon as possible. At the least, you need a filter before the RF signal reaches the first mixer. The circuitry gets very complicated very quickly. In an SDR, many of the difficulties in the RF processing using actual components are converted into problems in software and digital signal processing. On the other hand, this opens up totally new possibilities. Nevertheless, you will need an analog RF filter before you sample the radio signal to avoid all sorts of nasty problems. 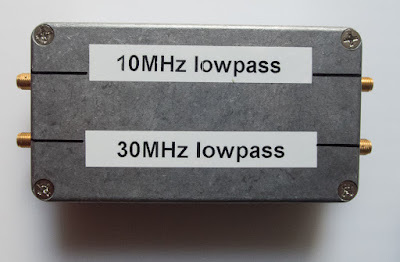 Usually a lowpass filter is employed with SDR receivers (for LF/MF/HF radios), because one is most concerned about sampling a bandlimited signal. If the sampling is done properly, further filtering can be carried out in software. 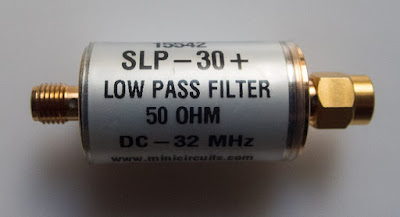 So, we need an RF filter. Now what? The simplest and most practical solution is to buy a commercial filter. 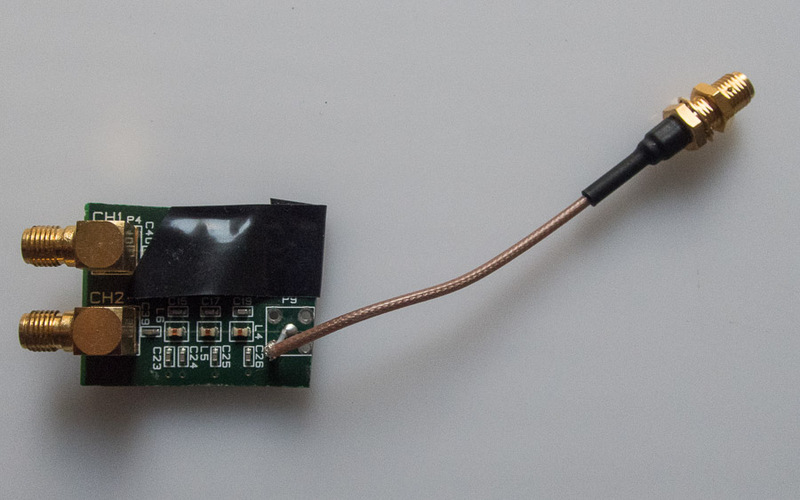 The commercial units often have suitable connectors for directly plugging the device between your favourite SDR and the antenna. Alternatively, you can design and build one yourself. And hopefully learn something. For simple filter designs, I quite like online filter calculators (e.g. http://sim.okawa-denshi.jp/en/Fkeisan.htm). For more serious stuff, there are free and commercial software packages and Elsie is one of the popular ones. If you know your filter theory, then Elsie is quite straightforward to use. I found a couple of old PCBs from the leftovers of a now defunct scientific radar experiment in Svalbard. These circuit boards have, of course, RF filters for various purposes and I was curious to see whether I could re-use them. It turned out that one of the filters is probably not that useful: it was originally an output filter to remove bad juju from the output of a direct digital frequency synthesizer. 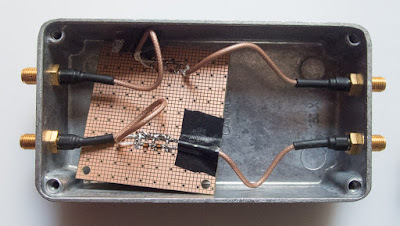 Nevertheless, I was able to scavenge parts for a 10MHz and a 30MHz lowpass filter. Perfect for using with the future experiments. Two lowpass filters constructed from scavenged parts. The only way to check or confirm the performance of any filter is to measure its frequency response. Never trust simulations, but if it does not work correctly in simulation, it probably won't work in real life either! The measurement principle is simple: feed a sine wave with known amplitude and frequency and then measure the amplitude (and phase) of the signal coming out. 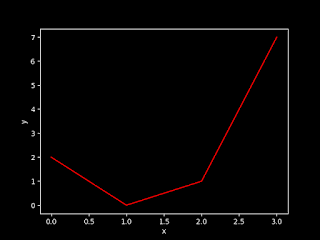 Create a plot from the measured data. 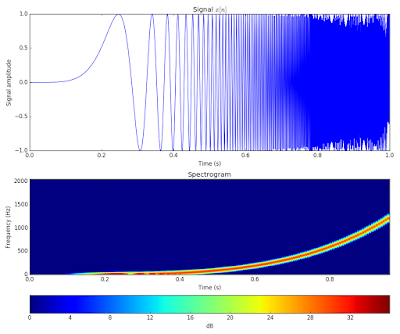 Rather than doing this manually, I used a Vector Network Analyzer to create a couple of plots showing how the output amplitude decreases as the frequency increases. Plenty good for prototyping! 80MHz filter response. An elliptic filter has a rather sharp transition from passband to stopband.